We are starting a new series under our Reviews Section where I will be doing Mini-Reviews of those products which I used few years back, some of them I still love and some were just wastage of money. I hope you guys will love such type of Reviews & get an idea about the products. 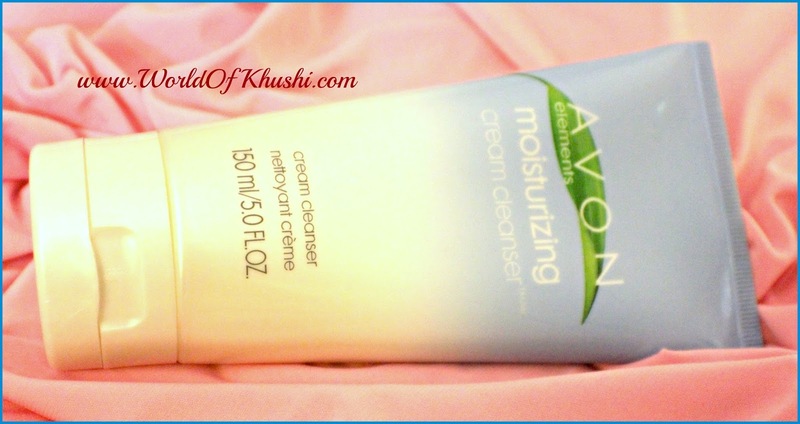 In today's post I am Reviewing Avon Elements Moisturizing Cream Cleanser. From last 3 years this is my favorite product, its just like a cleansing milk. I actually bought 3 tubes together after using 1st one as I really loved the product. And I am so glad that I did that as last time when I check the girl from which I got Avon Product, she told me that this product has been discontinued. Feels so bad as it was a good product specially for people having Dry Skin but still it's available on Amazon and Ebay. I will give the link ahead to buy. - Comforting Cream facial cleanser with oil-free papaya extract. - Suitable for sensitive skin facial cleanser cream. 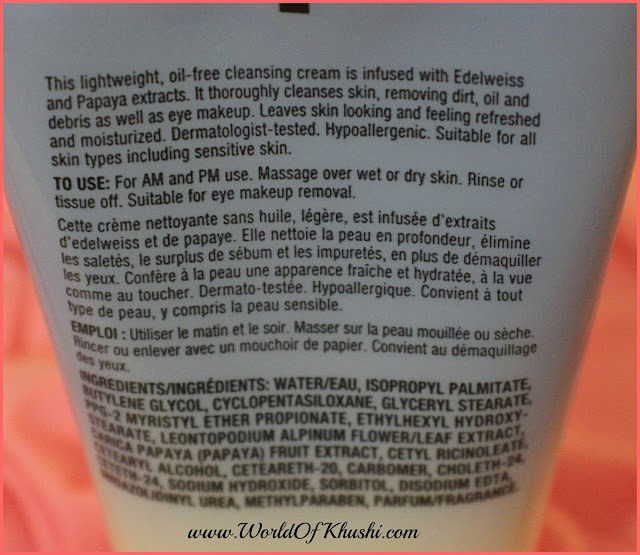 - Hypoallergenic Cleansing Cream 5 fl. oz. - Soothing daily use non drying formula. - Non greasy, softens skin. For AM and PM use. Massage over wet or dry skin. Rinse or tissue off. Suitable for all the skin types. This Cream Cleanser comes in a large pale blue-white plastic squeeze tube with a flip open cap. Packaging is Travel-friendly!! The texture is thick cream consistency and is white in color. The fragrance of this Cream Cleanser is very pleasant and calm. Absolutely love the fragrance!! I use this product occasionally (as it's discontinued) whenever I feel my skin is getting very dull and dry. I use this product on damp skin and massage it in circular motions for a minute. Then rinse this with water! Usually like to use it as a Clean-up for the face because I don't wear Makeup on daily basis. 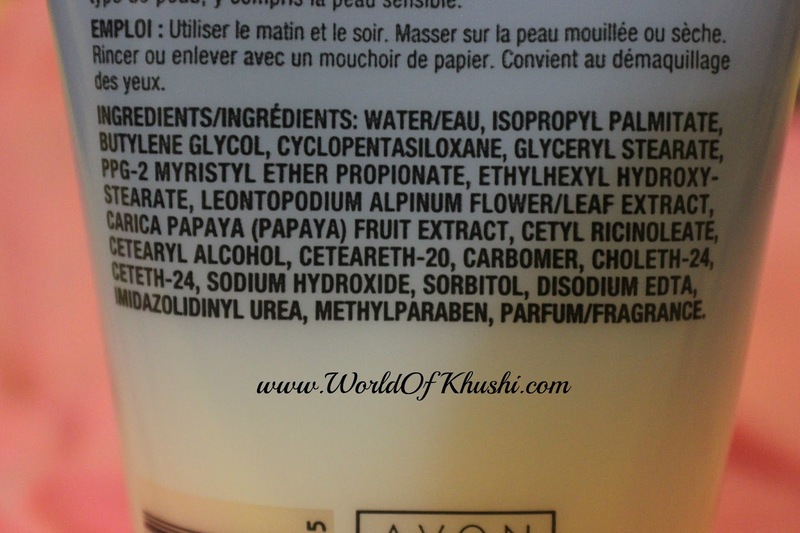 It also removes the Makeup however for Eye Makeup I always use Neutrogena Oil-free Eye Makeup Remover so I don't like to use any other product. Overall! It never irritates my skin, feels very gentle and gives soft skin. 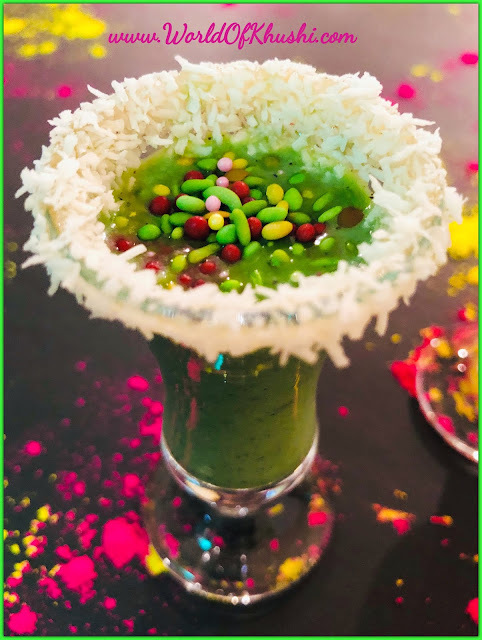 Like the product! If you are looking for a Cream Cleanser which removes Makeup then this product is not for you as it don't removes Kajal and leave some traces of makeup. It's very simple daily based product for just cleaning-up the face. If you like Cleansing Milk then will surely Recommend this product; specially if you have dry to normal skin. But yes always do patch test as everyone’s skin is different and reacts differently to different products. 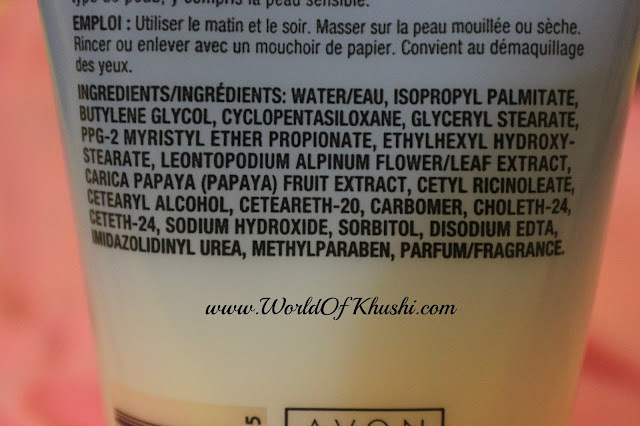 This is my mini Review for Avon Elements Moisturizing Cream Cleanser.